From Wednesday 1 February 2017, we won’t be accepting any technical applications for the HGV, PSV, Trailer, Carriage of Dangerous Goods by Road (ADR) and approval schemes by email. We'll continue to accept postal applications after this date. However, the quickest way to send your application will be online on GOV.UK. You can already apply online for the following applications. We suggest you start applying for your technical applications online now, so you can get used to doing this before we stop accepting applications by email. Submitting your applications online should speed up the whole process. As soon as an application is submitted they’re date stamped meaning there won't be any postal delays. It also removes the time it takes us to upload any applications received by email, fax or post. 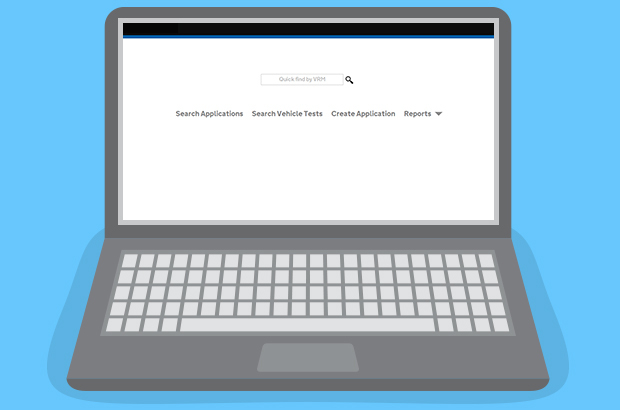 Once you’ve submitted your application online we can access it electronically at any DVSA site so we don’t need to post forms to testing stations anymore. You’ll also be able to keep up to date with the progress of your application. You’ll receive an email at every stage of the application process letting you know things like when a payment is required or when you can arrange your appointment. If you do experience any issues using the service then it might be worth updating your browser. You can find more information about what browser to use on GOV.UK. If you've read all of the guidance but are still experiencing problems submitting an application online please call 0300 123 9000. We updated this blog on 16 December 2016 with the new deadline for email applications (Wednesday 1 February 2017). We extended the cut-off date for email applications to February to give you more time to adapt to the changes during the busy festive period. Do I have to pay for submitting technical applications? Hi is there any change planned for the ordering of Replacement / Duplicate Plating Certificates and Mot Certificates for Vehicles and Trailers , we currently fax any Requests to Swansea on a VTG59 / DVSA520. Thank you for your question. You can now submit a VTG59 / DVSA520 via the Technical Application system however both white mail and fax are still currently available channels for submitting DVSA Technical Applications. When does the system go live, we need to have applications in now for January due to the long waiting time? At the meeting in Worcester talking about the IVA systems we did ask for an online "supermarket" system as this would make the booking of slots much easier for both sides. we were told this would be looked into. The Technical Application System (TAS) is active and available for the online submission of technical application forms. Thank you for raising this at the Worcester meeting, we are aware of our customer's requirements and will be looking into this for future system implementation. Can we still apply for SVA by using post. Thank you for your comment. White mail and fax are currently still available channels for submitting all DVSA technical applications. Thank you for your comment and suggestion. There is no provision on the TAS system to record comments as all applications are dealt with in the date order that they are received. Should your request be an urgent one, please email the appropriate mailbox notifying the team you have submitted the application form. Our nearest certifying officer is 40 miles away (since our local testing station closed). Are we going to be able to arrange appointments and bookings for re certification at ATF's? Also on line booking system for VOSA test stations was very useful. The ATF we use does not appear to be using a spreadsheet so checking bookings can be difficult. Can the original on line booking system be adapted and employed to work with ATF bookings? Thank you for your comment and feedback. The Technical Application System isn’t a booking tool. It’s how applications forms for technical tests will be submitted online. I’ll make sure that your suggestion of an ATF booking system is included in any service provision investigations we do in the future.